The C# compiler will sometimes generate new methods in the IL, as an implementation of a particular language element. 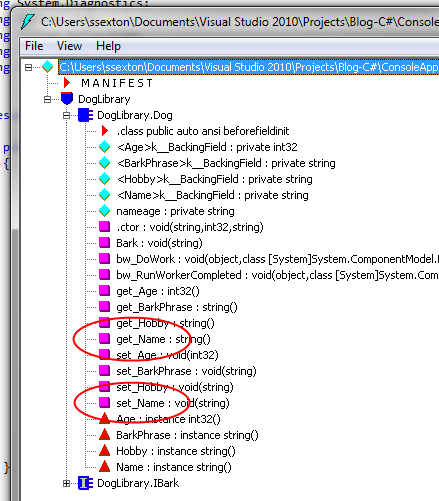 The IL that is generated as the implementation of this property will include the two methods get_Name and set_Name. Because the compiler generates methods named set_XYZ and get_XYZ, where XYZ is a property that you define, you cannot implement methods having these same names.